Variations: There are many variations to this movement. For instance you can use an E-Z bar attachment as well as a V-angled bar that allows the thumb to be higher than the small finger. Also, you can attach a rope to the pulley as well as using a reverse grip on the bar exercises. These programs with this exercise «Triceps Pushdown» are among the best rated by athletes. 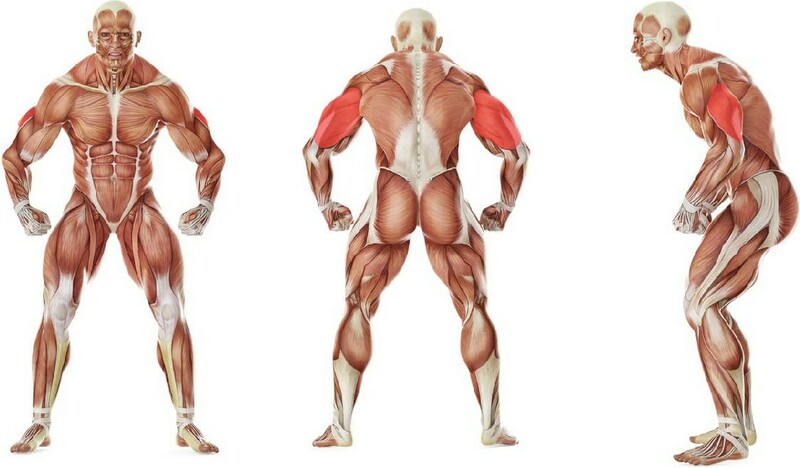 You can try replacing the exercise «Triceps Pushdown» with one of these exercises. The possibility of replacement is determined on the basis of the muscle groups involved.